The Kubota 16oz Hammer is made to get the job done. Features anti-shock design with comfort handle and superior one piece steel construction. This 16 oz hammer provides the weight and balance for heavy striking. The DEWALT 14oz MIG Weld Framing Hammer is the lightest all steel framing hammer ever made. At just 14oz it strikes with the force of a 28oz hammer. The lightweight design and vibration absorbing grip minimize fatigue, and the magnetic nail starter enables easy one-handed nail placement. For the times when a metal hammer is too much, this 16-ounce hardened rubber hammer is the answer. Ideal for a wide array of activities, including metal work, carpentry projects and more, the large surface area of this hammer won't scuff, damage or mar delicate surfaces where some force is needed. The 12-inch-long handle makes delivering a firm strike almost effortless. 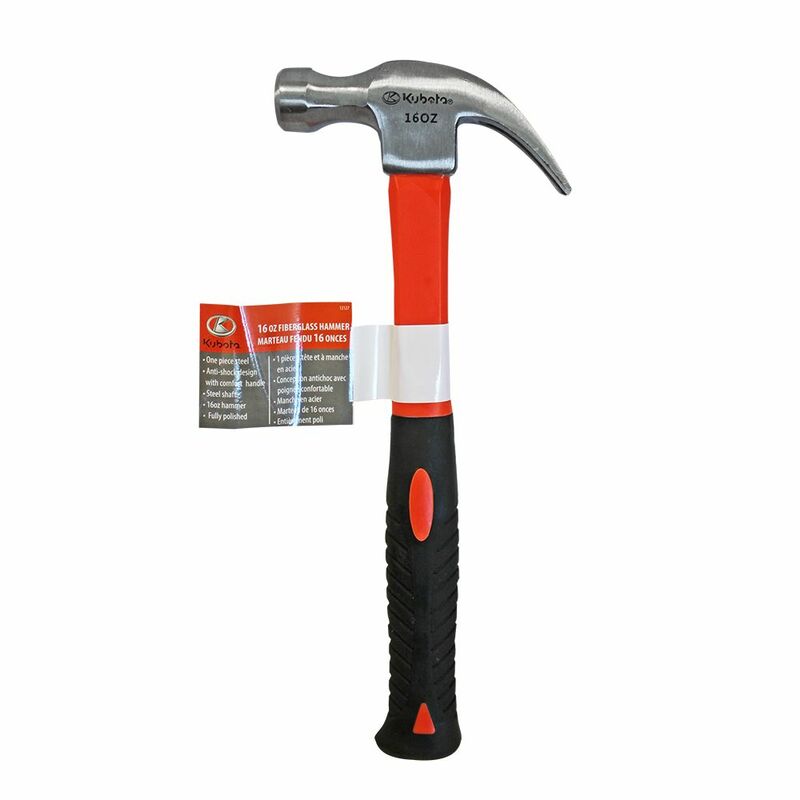 This slightly heftier version of the 16-ounce claw hammer with Wavex shaft delivers a slightly heavier blow, but still has all the same features you expect as a professional: a heat-treated hammer face for hardness; a substantial composite handle with cushioning for security and comfort; and a shock-absorbing shaft that helps minimize wear and tear on your hand, wrist, arm and shoulder. 16oz Hammer The Kubota 16oz Hammer is made to get the job done. Features anti-shock design with comfort handle and superior one piece steel construction. This 16 oz hammer provides the weight and balance for heavy striking.